I will be in touch with you within 12-24 hours. Set-up a free Phone or Skype consultation! Hi! My name is Darryl, but you can just call me D. I am an AFAA Certified Personal Trainer (soon to be Precision Nutrition Level 1 Certified) and founder of DNav Fitness. I was like the majority of people who go to the gym but never saw the progress they wanted or expected to see. This bothered me. Determined, I spent hours researching and creating plans for myself. 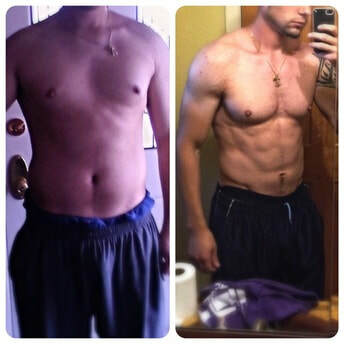 I was able to transform my body and along the way, I learned what works more efficiently. Currently, I employ these methods when working with clients. I got into personal training and online coaching in order to help people succeed and not make the same mistakes I did, in that way they progress quicker than they would have on their own.